Hi everyone! 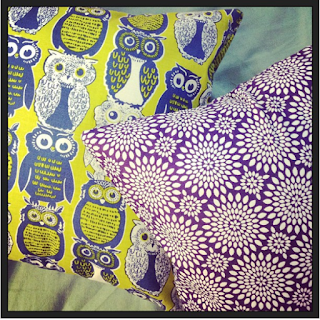 I'm Nadia, @nadiashae on Instagram, and I've had a blast as your Week 7 quilter. I sew and play with my dog in Columbus, Ohio, where I am an Academic Advisor at the Ohio State University. 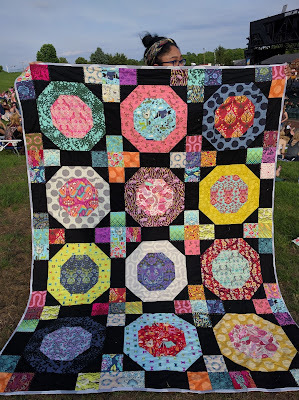 I began quilting in 2013 as a way of coping with depression. My best friend introduced me to her new hobby - sewing - to help me, and it did! We both bought machines and dove in together, attempting to make our own outfits, sick of years of dresses and shirts from the mall not fitting our bodies well at all. 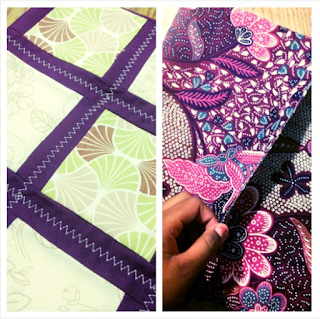 I hit the ground running and I've been quilting like crazy ever since! Just kidding. There's a running joke with my friends that I don't finish quilts. I guess it isn't a joke, since it's true. I'm a quilt top queen - cutting and piecing new quilts constantly, Instagramming them, feeling proud of myself, and folding them to put into my IKEA cart. Since I started and moved on from quilted pillows, I've finished maybe 8 quilts, most of them baby-sized, even though I've started maybe 20 (probably more). 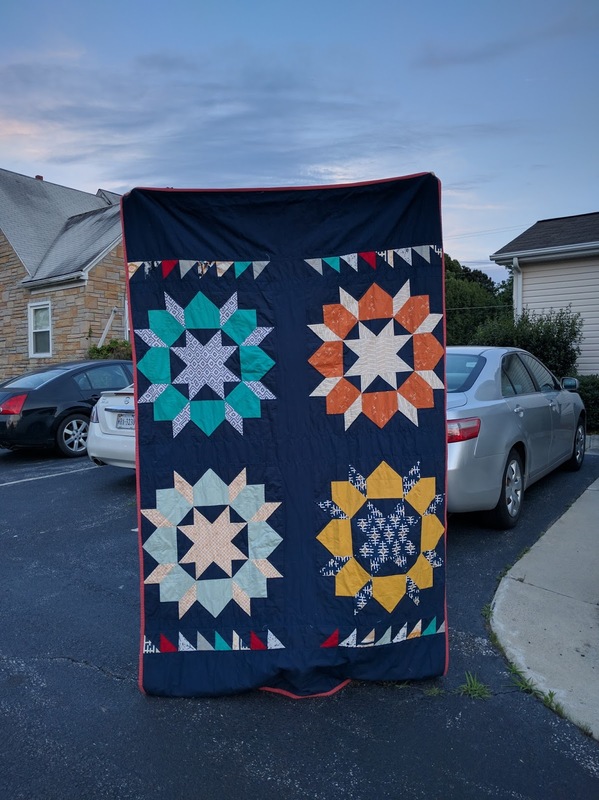 The quilt top part is my favorite - I find measuring and cutting very therapeutic, a practice I enjoy as it reminds me of my original love, book-binding. Piecing is fun, especially since most of my projects are chain-piece-friendly. I can shove pretty fabric through a machine for hours while watching Netflix, and my day is made. For me, nothing beats the feeling of seeing the top done and running it outside to try to get a good picture of it. My pretty fabric is finally off the shelf and has been transformed into art! Instagram it! Add it to my Wordpress blog! Fold it! Shelve it! I'm not sure why I am often so lazy with the next steps. I think part of it is that I'd rather spend my craft budget on the pretty fabric instead of the batting that goes between the sheets. I do know that a big part of it is that the only place I can really baste is my basement, and my basement is scary. I've had an aversion to basements ever since I saw Home Alone as a kid. Here's my latest quilt top. I actually finished it this morning! 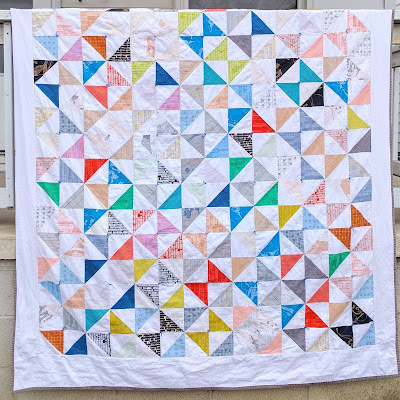 The pattern is Jeni Baker's Vast from her Patchwork Essentials book on Half Square Triangles. These aren't usually my go-to colors but I was inspired by a random curated bundle I bought. So, I guess what fuels me isn't having something warm to snuggle. Mostly, it's deadlines. And it's probably got something to do with my love of design. I love huge blocks, large-scale prints, bold graphic statements, unexpected color combinations. I want to work on making this more apparent in my work this year. 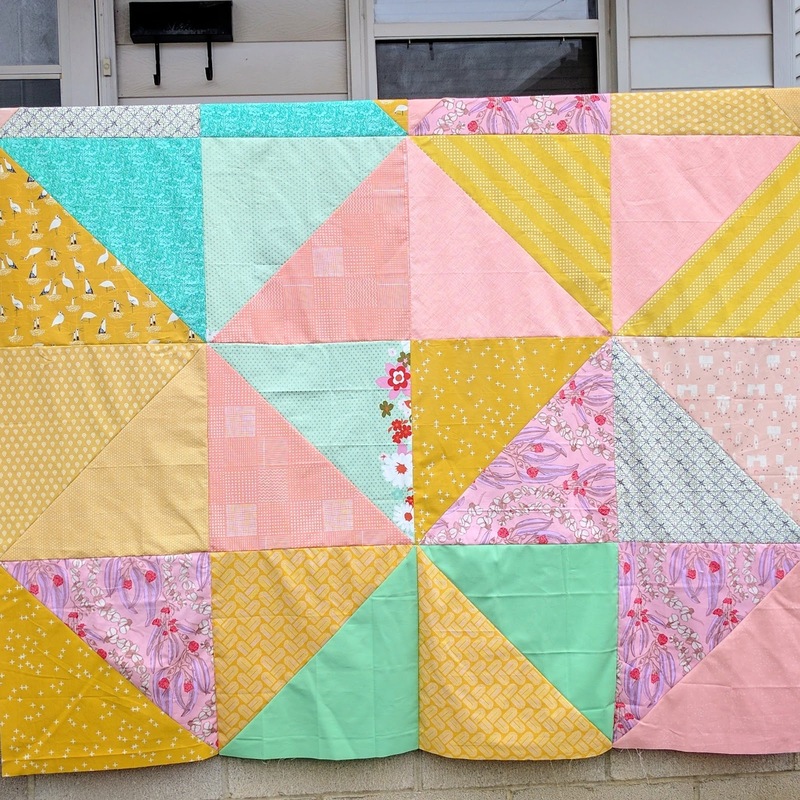 As a quilter, my style tends to run a little simple. A lot of the time, I'm drawn to basic or traditional blocks that I then make with modern fabric. 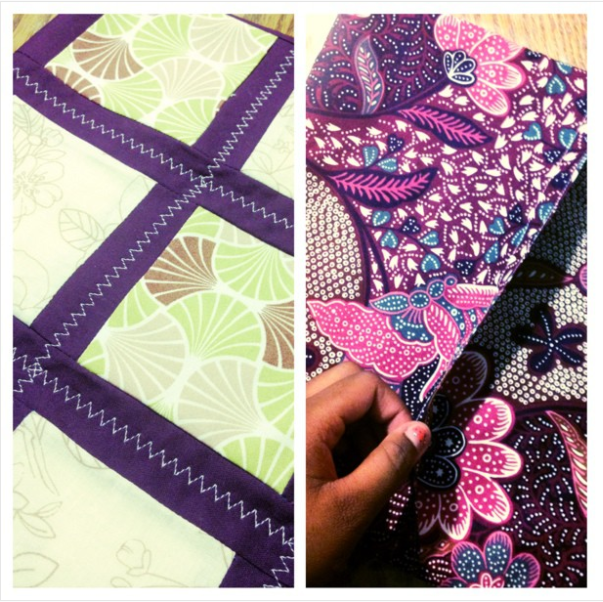 I have a huge appreciation for the history of quilting and the meaning behind it. I'm really interested way that many vintage quilts weren't meant to be art, but ended up being art anyways (like those of Gee's Bend).